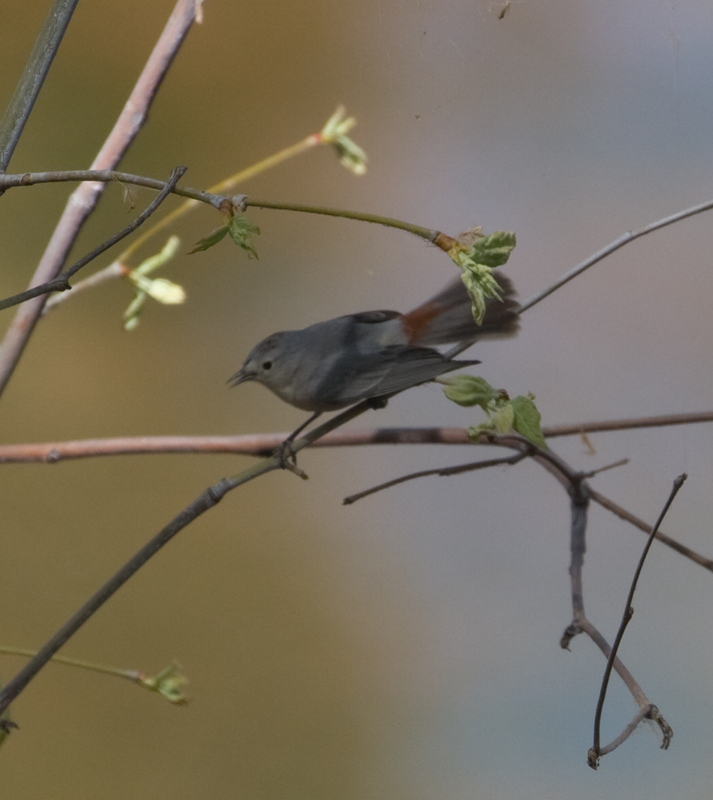 The maroon patch on this bird makes this a Lucy's Warbler, fight? The thing is there were two other Lucy's in the same tree. It never occurred to us, three relatively good birders, that this was another Lucy's. 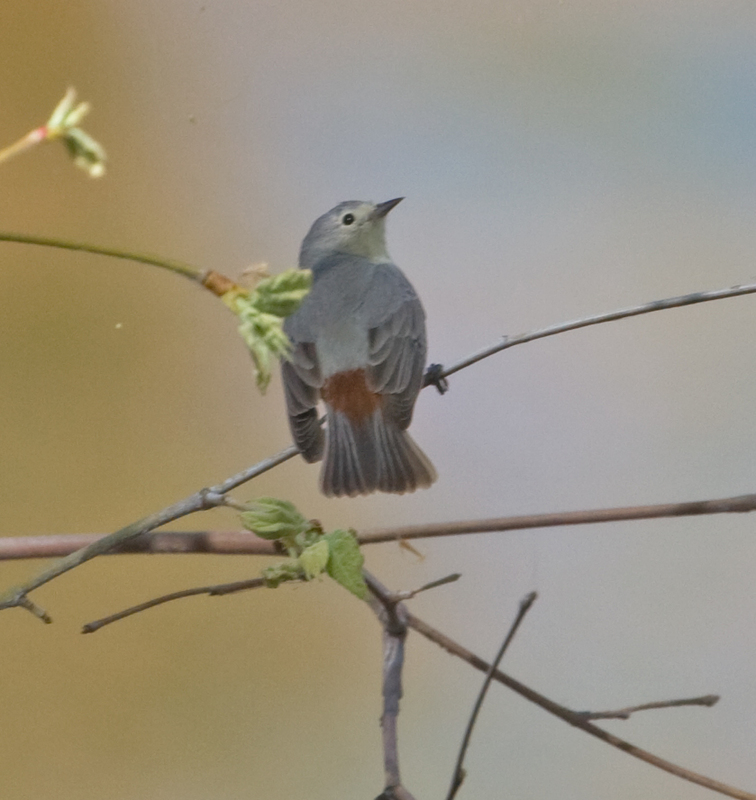 It acted like an American Redstart, the way it spread it's wings and tail. It was bigger than a Lucy's and and much darker. It was placid, staying in the open not 15 feet from us for several minutes. But I can't shake the feeling that is is not a Lucy's. Certainly looks fine for a Lucy's Warbler. 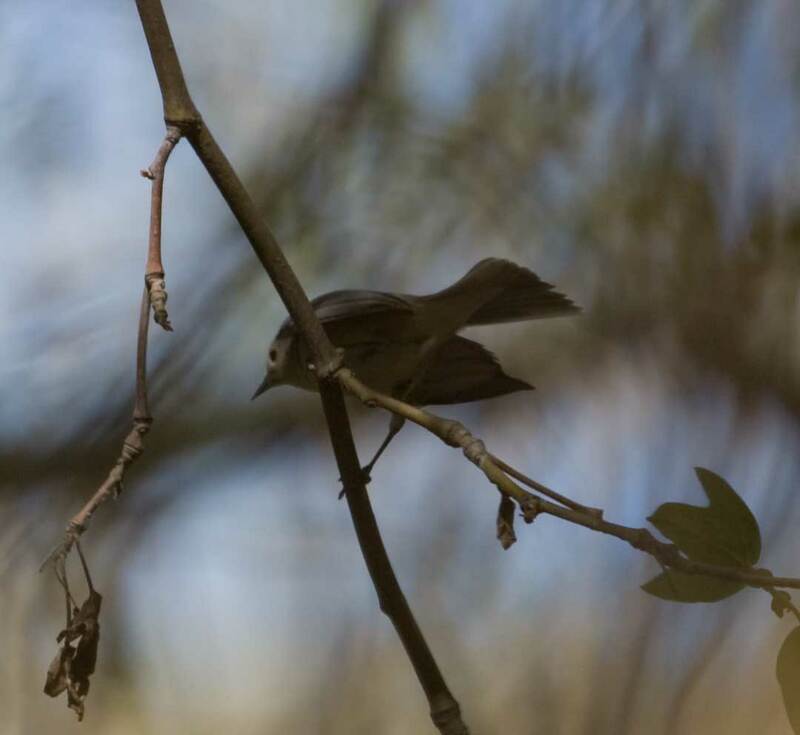 Birds of North America describes tail and wing acrobatics that Lucy's Warblers do to show off that bright rump patch during courtship. 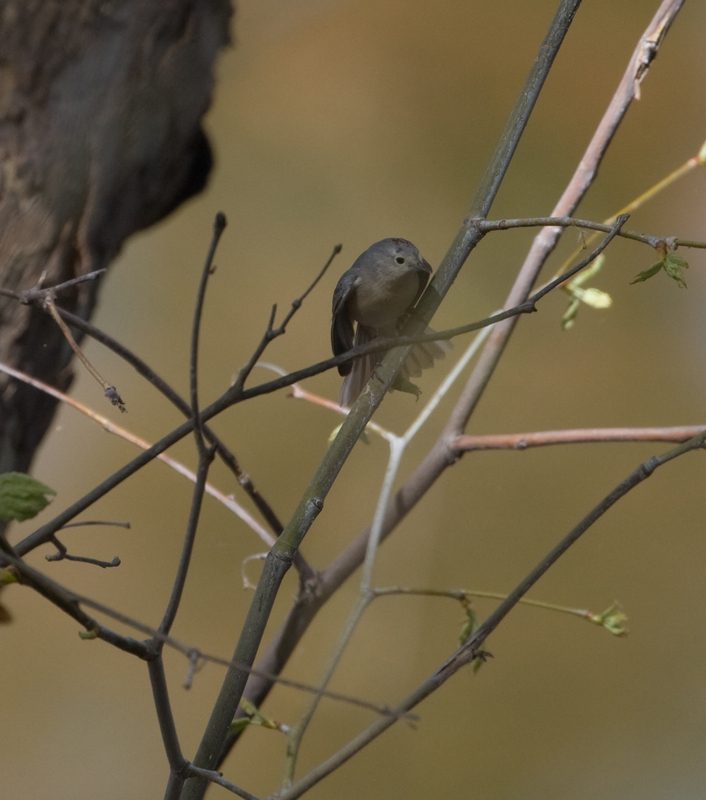 I have no doubts that it is a Lucy's Warbler. When we got the photos on the computer screen and saw the maroon patch there could be little doubt. 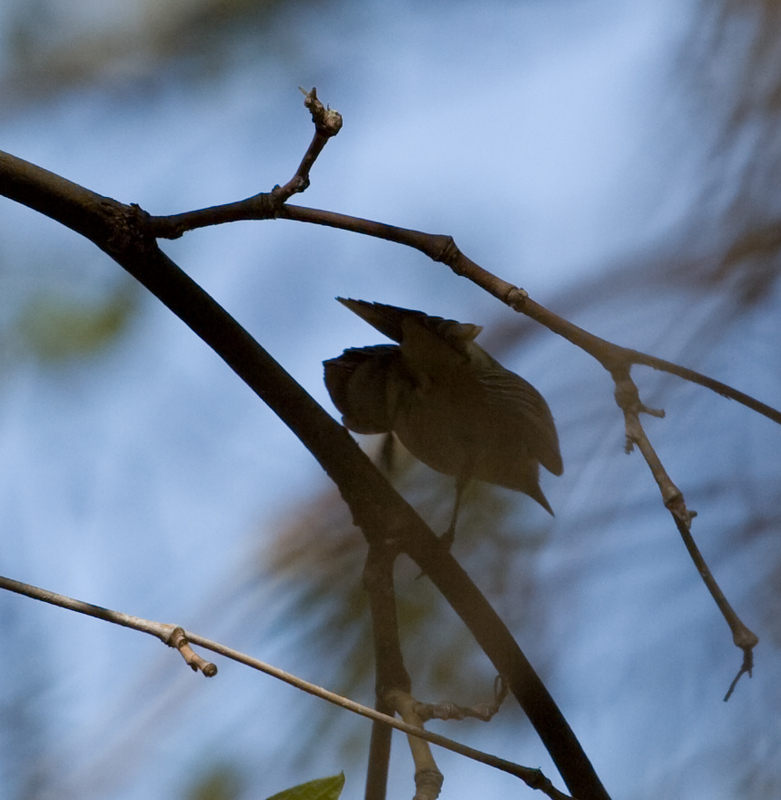 Still to be fooled so badly by a bird I know pretty well--a daily yard bird--well, it's humbling. Current time: 18 Apr 2019, 5:36 PM Powered By MyBB, © 2002-2019 MyBB Group. Theme created by Justin S.